Brentford: Button, Bidwell, Dean, Djuricin, McEacran, Woods, Judge, Swift, O'Connell, Yennaris, Canos. Subs: Bonham, Saunders, Hofman, Kerschbaumer, Vibe, Barbet, Clarke. Wolves: Ikeme; Doherty, Batth (c), Ebanks-Landell, Hause; Coady, McDonald, van La Parra, Byrne; Mason, Sigurdarson. ACADEMY | Fixture change. 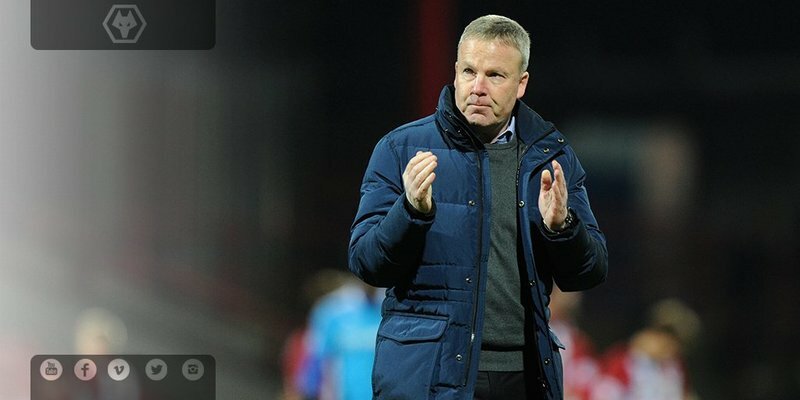 The Under-21s home game with Swansea at @telfordutd has been put back to Monday, March 14th (7pm). Fixtures also to follow against Sunderland, Middlesbrough, Arsenal, Aston Villa, Tottenham and WBA. 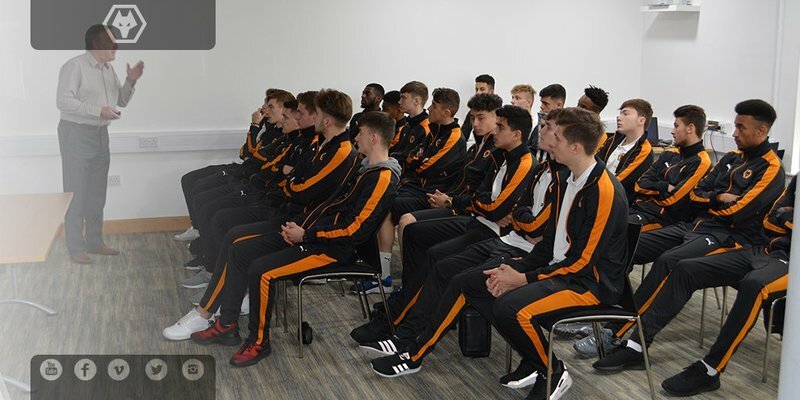 ACADEMY | Wolves go into Group 2 of the Barclays U-18 Premier League play offs, kicking off at home to Leicester on Saturday. Steve gave an excellent presentation on the ups and downs of his own career with advice for the next generation. Video later in the week. Thanks everyone for your time tonight. Another tough game on Saturday. Players will need to put this defeat behind them very quickly. thanks for blog- shame about result. 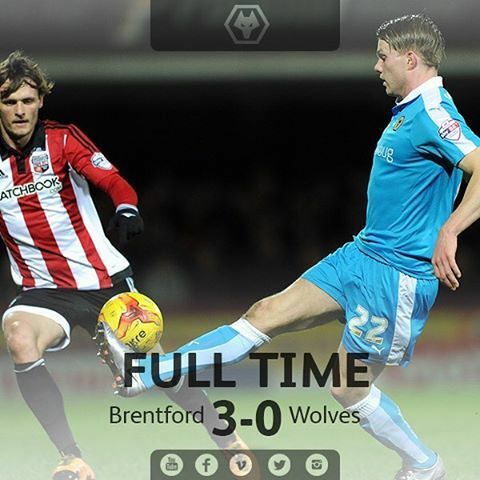 F/T Brentford 3-0 Wolves: Goals from John Swift (2) and Sergi Canós condemn Wolves to defeat at Griffin Park. Team and manager a culbable but NOT as culpable as senior management, board and owner. What a mess. 90+1' Stunning save from Ikeme to keep it at 3-0, diving to his right to save Jack O'Connell's headed effort. God help us against Derby and Boro !!!!!! Teams are now finding it simple to defend against us no bite at all at the moment. Still Jez continues to treat the club's money as his own. Another great save from Ikeme at full stretch. 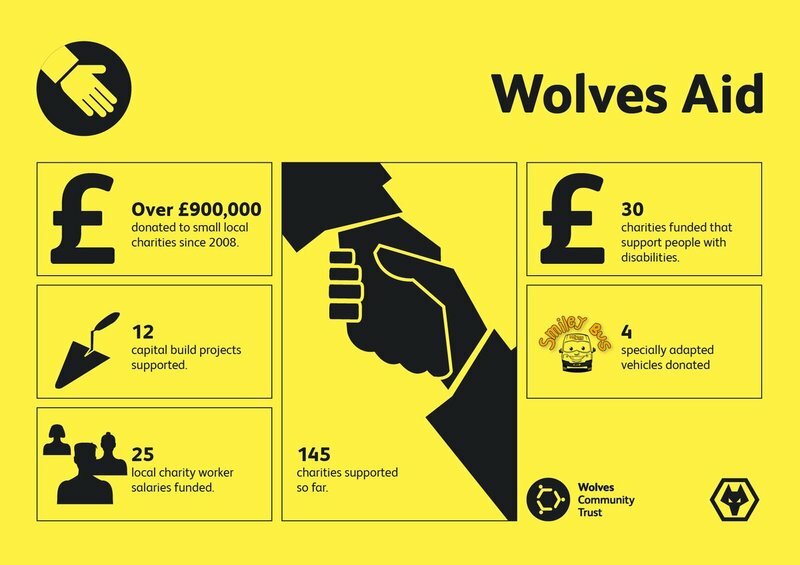 Wolves clear. If KJ's the man for the job, then we need to drop back down to Div 1 togive him a chance to prove it !!! Just signing in again after seeing Arsenal outplayed by Barcelona. I see out team of Donkeys are doing what they do. So sad. So very sad. Pearson would duff everyone up..
McDonald chips in but headed away. Wolves free kick on the right, midway into Bees' half. Good opportunity.